In Uptown Chicago there is a venue definitely worth visiting. 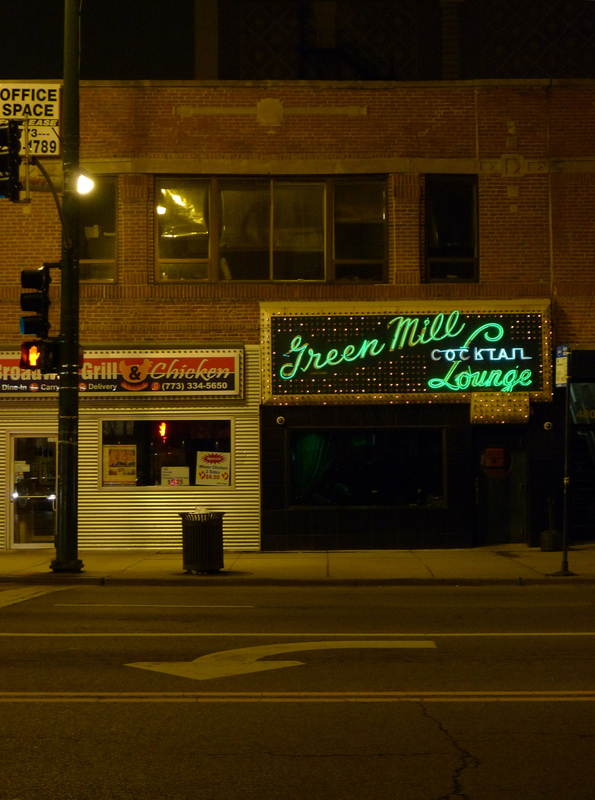 The Green Mill Cocktail Lounge (or Green Mill Jazz Club) has been on North Broadway since 1907. 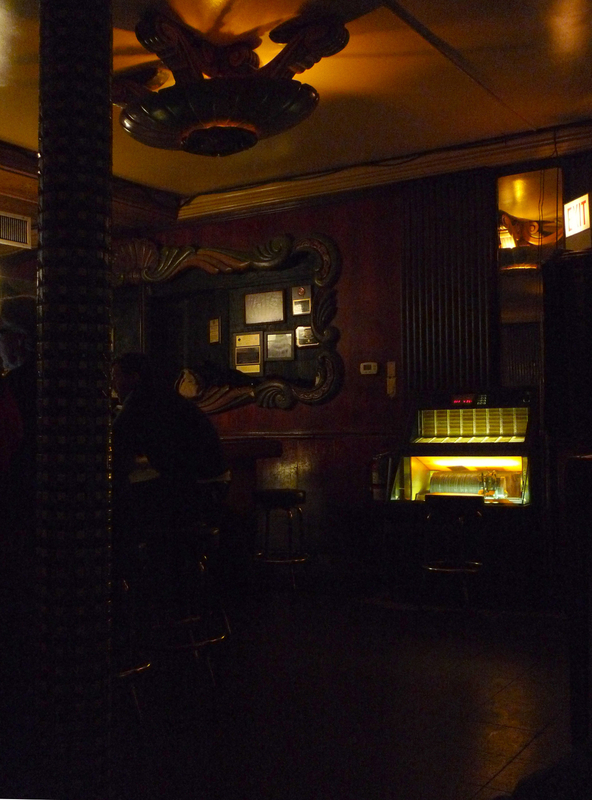 It’s long enough for the club to be known not only for all the jazz performances it hosts, but also for its connections to the Chicago mob back in the 1920s. In fact, one of Al Capone’s buddies even became a co-owner at some point. 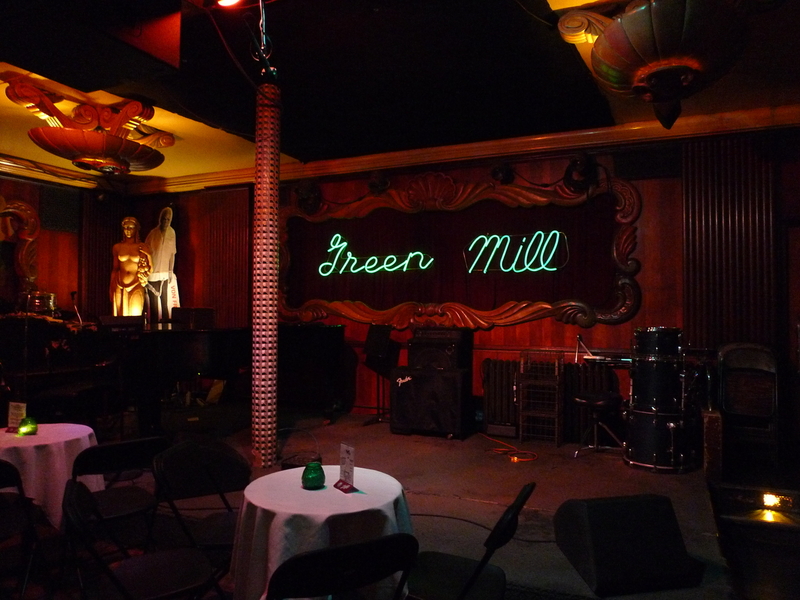 Naturally in this situation, the Green Mill ceased to be just an ordinary bar, as tunnels leading to a nearby building were established underneath and used for escaping the authorities. Some even say the tunnels still exist to this day. 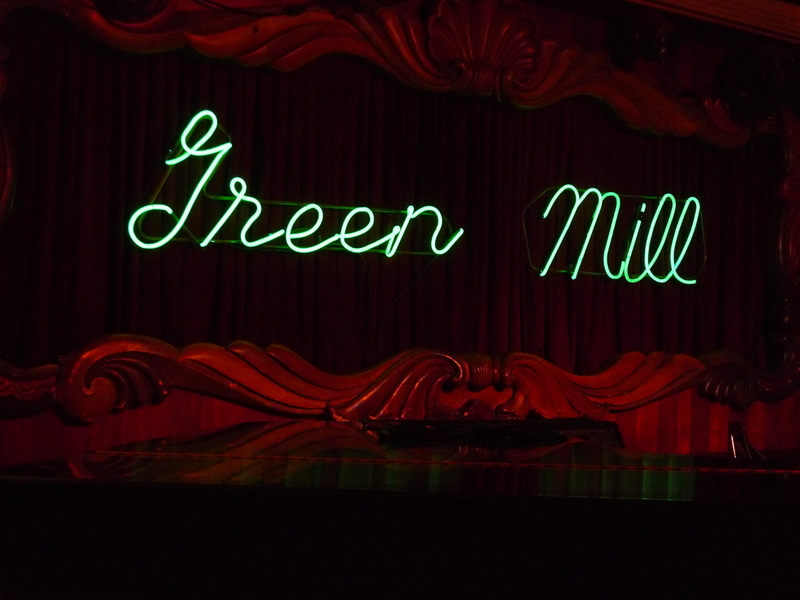 Whether this is true or not isn’t really that important, because The Green Mill is a jazz club interesting enough in itself. 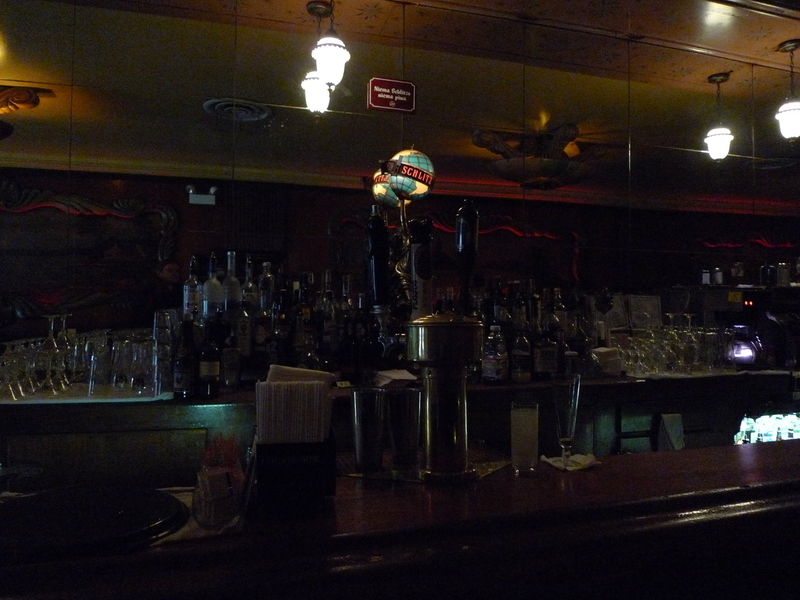 It has a glamorous, art deco interior complete with magnificent picture frames, a slightly modernized jukebox and an alabaster statue of Ceres, who apparently today prefers to go by Stella. Right at the entrance you can find the bar. Above there’s a sign displaying ‘Niema Schlitza, niema piwa’, from which we can infer two things (except for the obvious ‘there is no beer if there is no Schlitz’): first, some Polish immigrants had something to do with equipping the bar, and second – they had no idea how to spell. Just on a side note, the alcohol selection is pretty impressive. 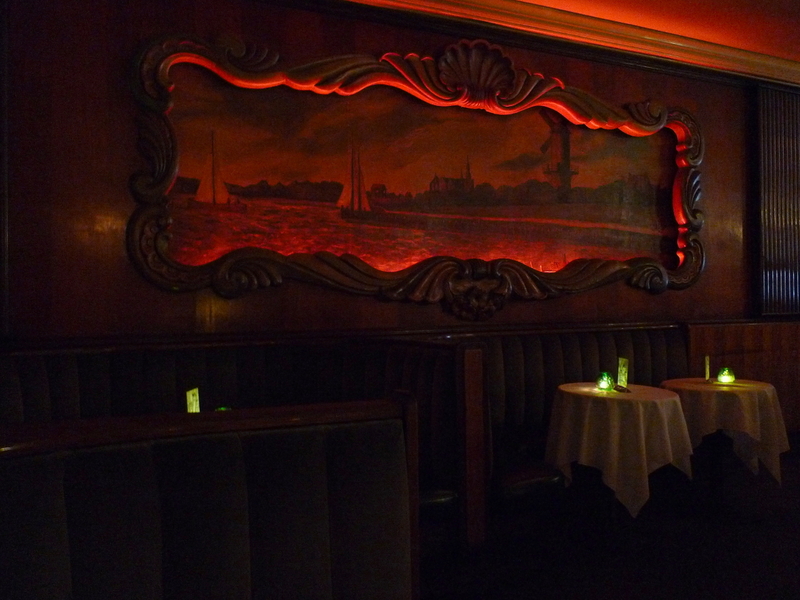 Further one can find a number of booths (one of them is deemed as Al Capone’s favorite since it allows to observe both the front and the back door – a feature crucial for every gangster) and – of course – the scene. 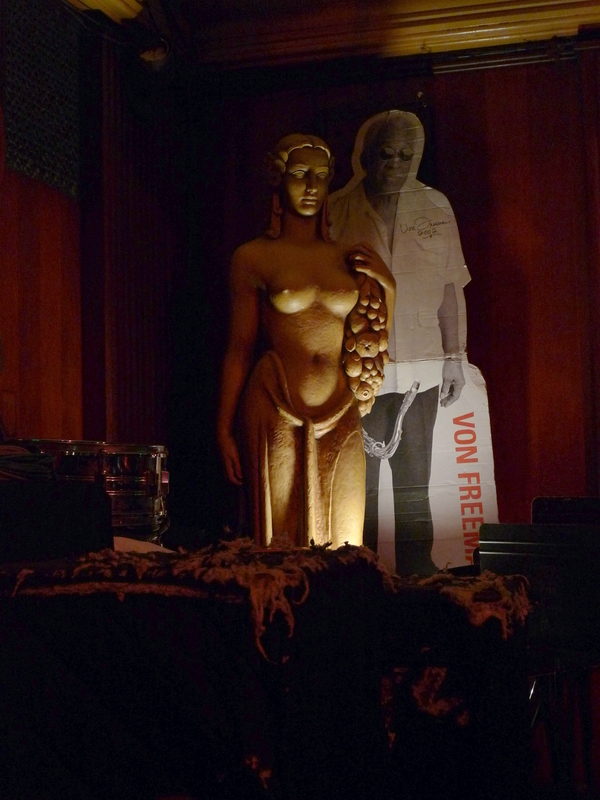 Stella stands right next to Von Freeman, or rather – Von Freeman stands right next to Stella. 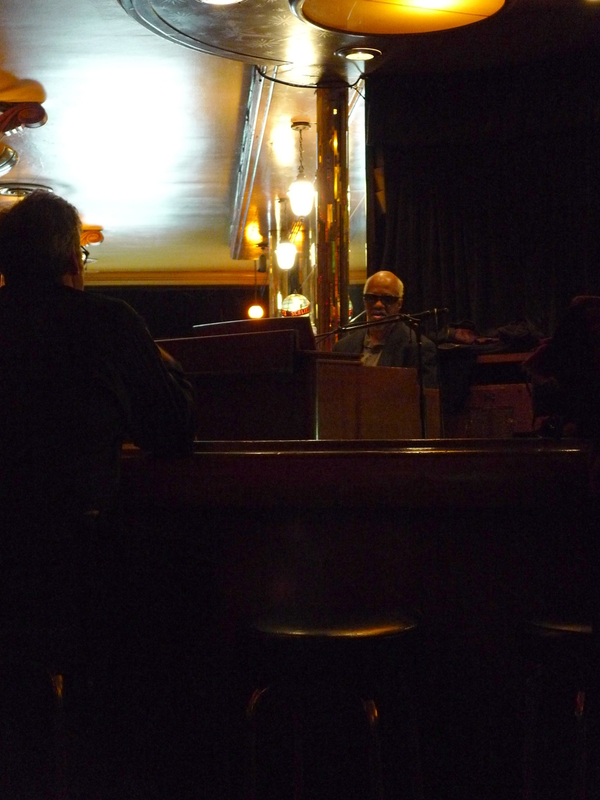 We happened to have the pleasure of spending the evening listening to Chris Foreman playing on a Hammond Organ. He concentrated on classics such as ‘Summertime’ (in an absolutely fantastic upbeat interpretation), ‘When I Fall in Love’ or ‘The Shadow of Your Smile’. I honestly count this evening among the best in recent years. I am definitely coming back! I saw Mr. Foreman enter the club a few minutes before the start of the show and did not realize he was the performer that night. It either means I’m extremely unprejudiced or, on the other hand, a little stupid. PS I hope you don’t really mind the photos are so dim. This is really the best I could do. 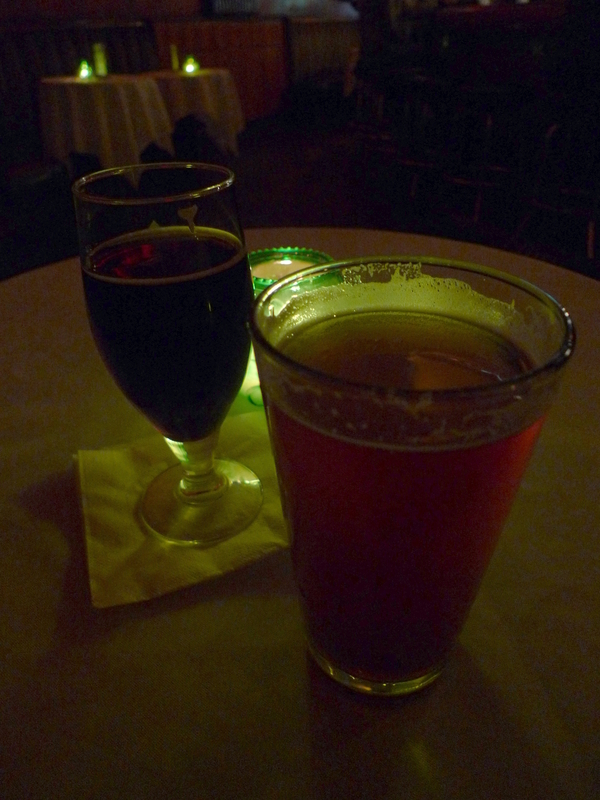 Also, I spent the majority of time just listening and sipping my beer. Ooh, I am definitely coming back. PS2 Here’s a video of Chris Foreman playing the upbeat ‘Summertime’. The bass sounds terrible and the image is blurry, but it may give you a taste of what it feels like to be there. This entry was posted in Chicago, Jazz, Pubs, Travel and tagged Chicago, Chris Foreman, Green Mill Jazz Club, Jazz, Pubs, The Green Mill Cocktail Lounge, Travel. Bookmark the permalink.